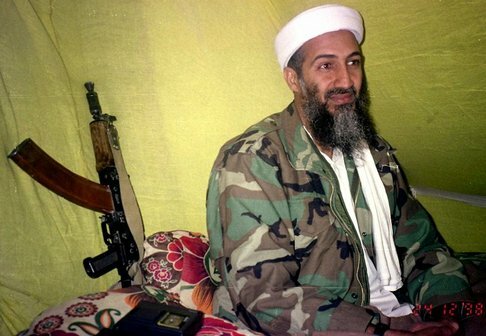 In case you are living under a rock or you were lucky enough to fall asleep before 10pm last night and still be asleep (in which case I want to punch you), you know that yesterday Osama Bin Laden was killed by US armed forces and subsequently buried at sea. In case you aren’t sure, check out this link which shows almost 40 newspaper covers with the same story. While I am delighted that this evil face of terrorism is gone forever, I do not typically get “happy” when I hear about people dying. The same, however, cannot be said for Geraldo Rivera. Homeboy is straight up JAZZED about OBL’s death. Check out his report here. The real crazy starts around the 2:50 mark. He goes on to call Osama’s death a “brilliant way to start your week.” I’m sorry, Mr. Sensationalist, but that is not even responsible journalism. I liked how no one he tries to talk to on the phone is ever there. It just makes him look like an even crazier person who is talking to himself in a fake newsroom. Fox News lovers, let’s not forget that Geraldo was also the same person who brought us important stories on his talk show “Geraldo” like the plight of Sylvanus "Hambone" Smith, #16 on this list of the World’s Heaviest People. I remember Hambone well. RIP Hambone. Not so much Osama. And Geraldo, you be crazy.